How do you know if your learners learned what you intended them to learn? No learning solution is complete without including a way to assess the learners’ ability to achieve the learning objectives successfully at the conclusion of a training program. And yet we've all encountered challenges to writing great assessments. At the last minute—after weeks of interviewing subject matter experts, submitting drafts, and writing course materials—we start working on the assessment. We skim the training materials, cherry-picking basic facts, vocabulary words, and other information bites that lend themselves to multiple-choice questions. We throw together an assessment made up entirely of this low-hanging fruit, send it in, and consider it done. But there's a better way. Join us as Todd shows us how to implement Backward Design into our design process and plan for the assessment from the beginning. Then we'll dive into the thick of it and learn how to choose and write the best question types to assess how well our learners are fulfilling our learning objectives. Make sure you bring your own training items where you need help writing assessment questions as this session will give you lots of hands-on opportunities to write and workshop your own project. 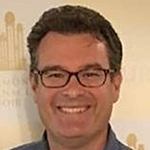 Todd Wente has been involved in professional and corporate training for over 20 years, having begun as a defacto trainer for his work team and now working as the Director of Training for Independence University. Todd also currently teaches adjunct for LDS Business College in Salt Lake City. Todd has been a local advisor for both DECA and FBLA student leadership programs on the collegiate level. He has delivered training workshops and keynote addresses to groups small and large in the northern Utah area. Todd has been selected as a presenter for multiple conferences, including Training Magazine’s Learning 2.0 conference in Chicago and, last year, as a workshop presenter for Utah ATD. Todd is driven to help individuals improve their performance through training and coaching. Organizational initiatives can help, but individual commitment is paramount, and to that end, Todd is always helping drive personal change. Todd has a Bachelor’s Degree in Psychology from BYU and a Master’s in Education from WSU. He is married to his college sweetheart of 27 years, and together they have 5 children. A passionate and talented performer, he can be seen frequently on stage in various settings around the state. Todd is an Eagle scout and has been an energetic advocate of the scouting program in his local area. Reach out to Megan for registration questions.